When faced with leftover bread that’s gone stale and no longer good enough to eat on its own, one must not worry! The easiest thing you can do is turn it into croutons which no doubt will be better than anything you can buy at the store. You can customize your own flavor and season as much or as little as you like to get the exact flavor you want. If you have 20 minutes, you can make these in time to serve with your dinner salad. Easy peasy, done and done. Use to garnish your salad or soup of choice! 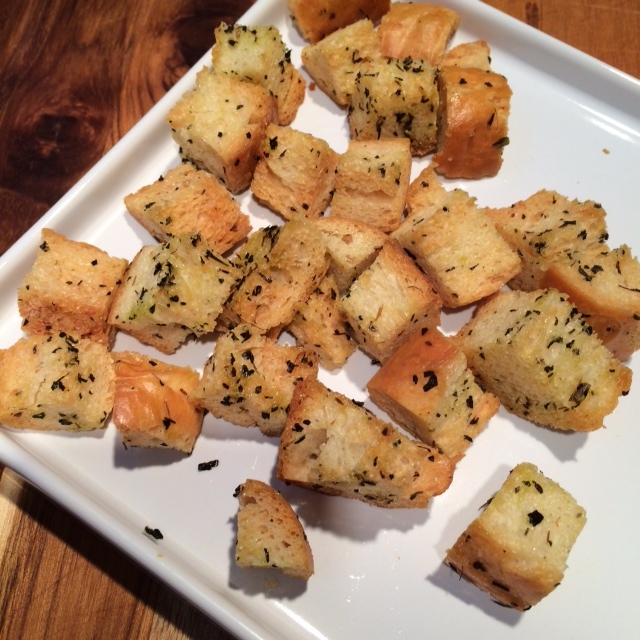 Spread the croutons on a cookie sheet and toast in the oven for 10-15 minutes, ensuring to mix and turn at least twice so the croutons get an even color on all sides.